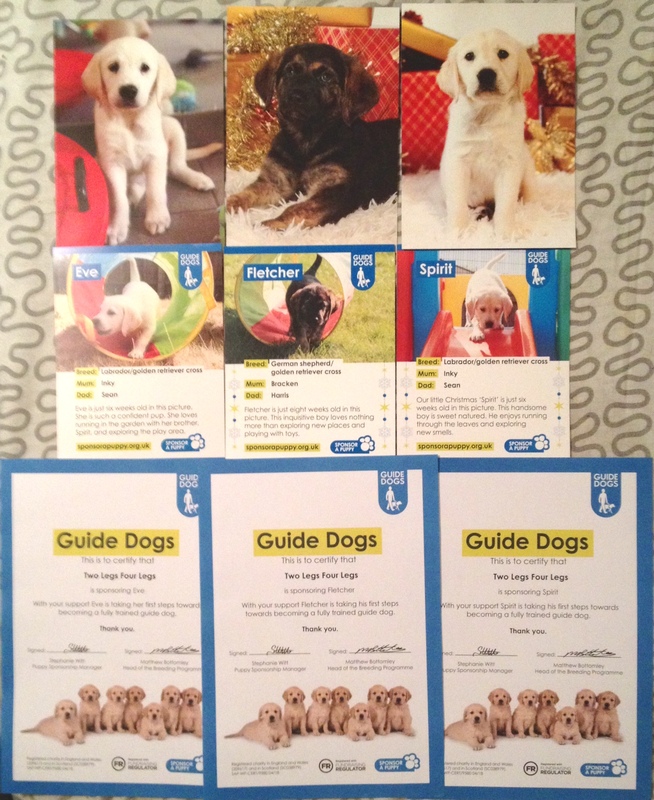 Throughout the year we fund raise for Guide Dogs. 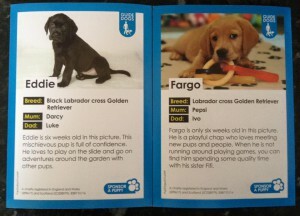 For a few years now any money raised for charity has been donated to Guide Dogs. 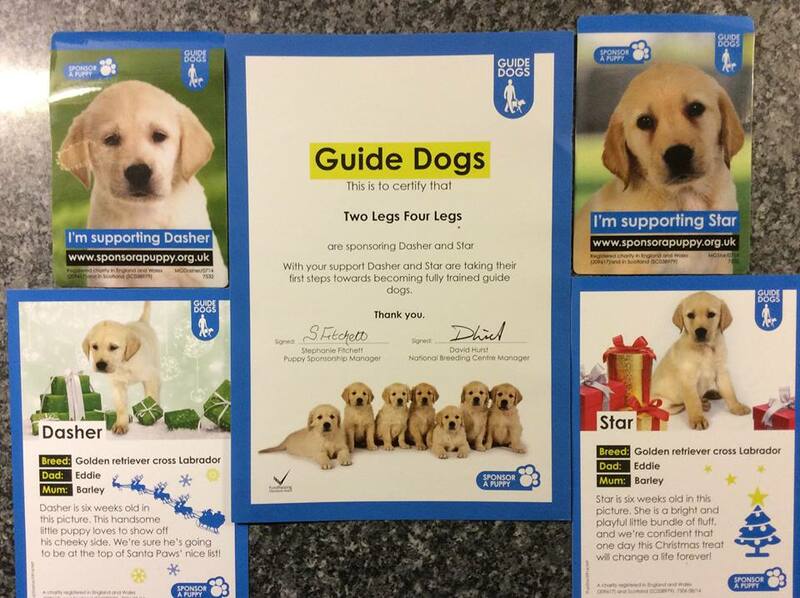 At the end of each year I add up all the donations from the group dog walks, the Christmas quiz and any private donations I have been given and use it to sponsor Guide dog puppies You can click on each of their names to follow their progress. 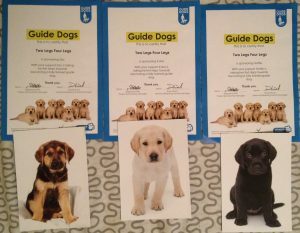 Raised £247.38 so we have another 2 sponsor puppies to follow.